I wish The Black Stripes were a band that my sister and I had started, but the White Stripes stole that idea. 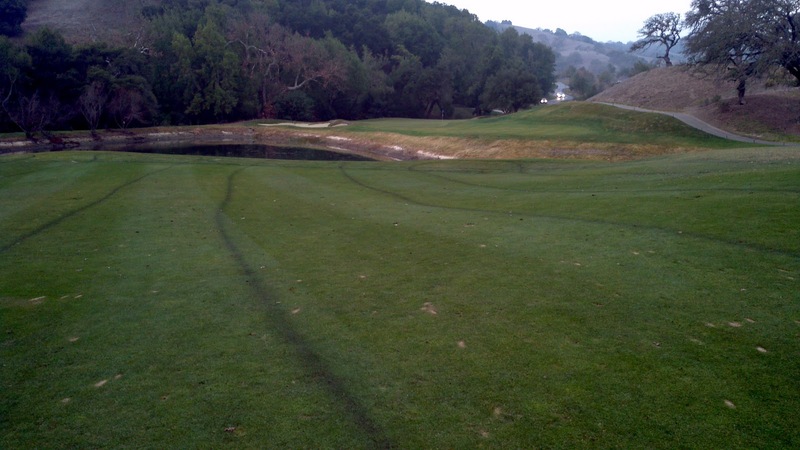 Unfortunately the black stripes that can be seen on the second fairway of the Canyon course are due to sprayer malfunction (person and machine). I had a crew member put together a small mix last week to see if that was what I wanted on fairways this week and a hose broke while spraying the fairway. The black lines will eventually grow out, but with these cold temperatures, it may be a while.